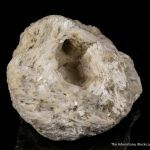 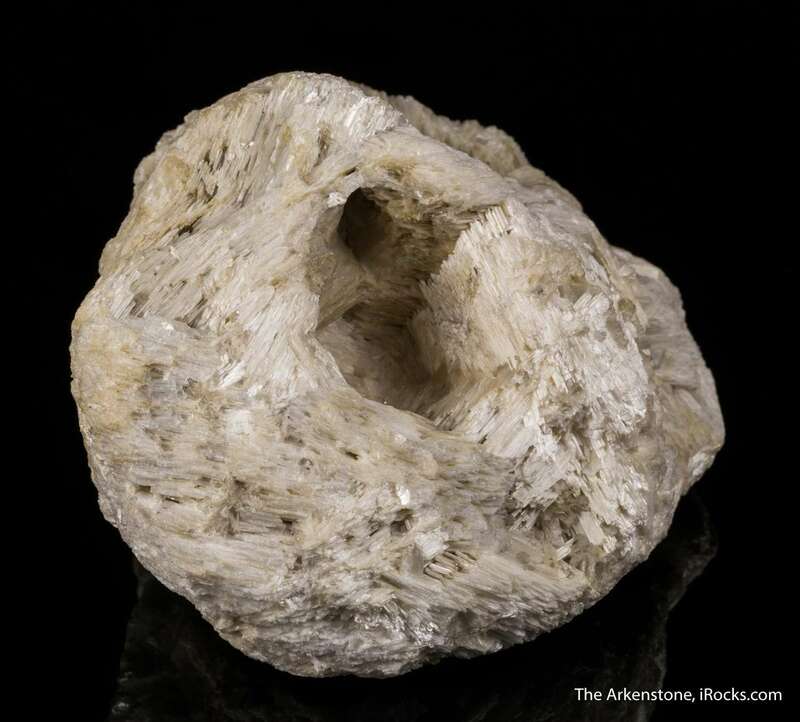 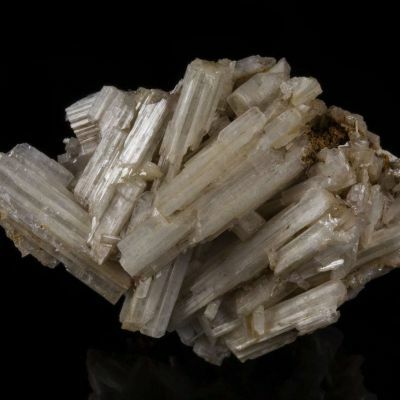 This most unusual specimen of cerussite features laths of acicular crystals artfully arranged by nature in a circular, swirling pattern around a central core - I have seen nothing like it, from anywhere, and never had even heard of this locale for cerussite before seeing this specimen. 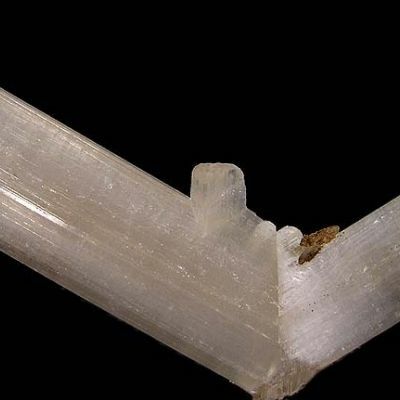 The laths are somewhat intergrown, lustrous and ivory colored and measure up to 2.8 cm across. 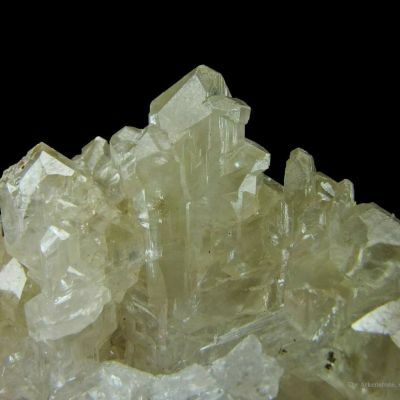 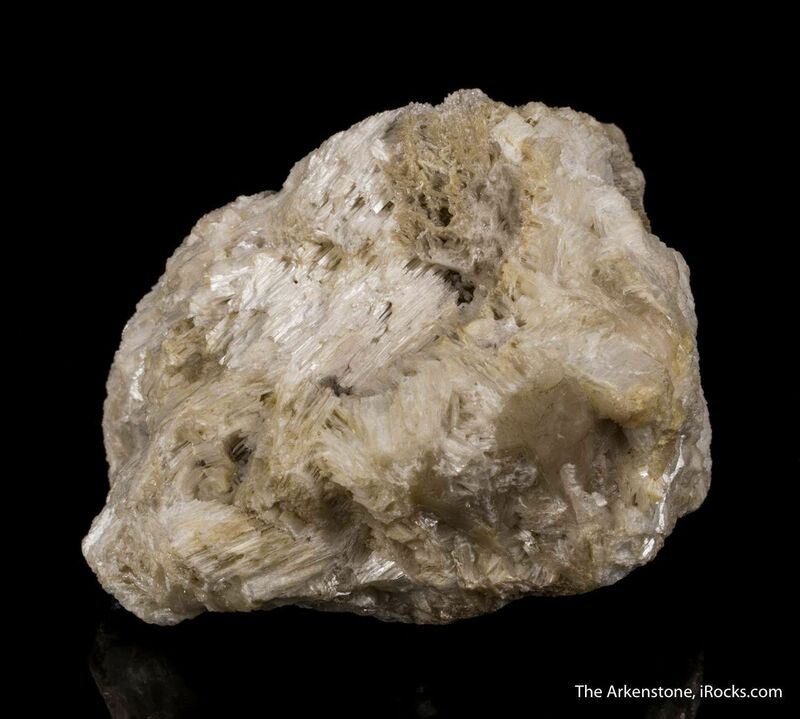 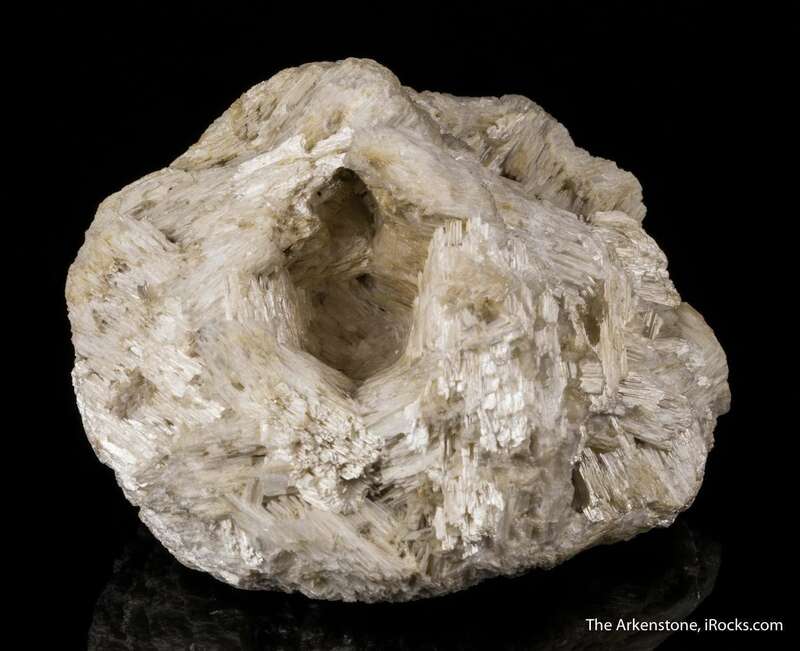 In the center of the specimen is a mold of what once was a hexagonal mineral, possibly calcite. 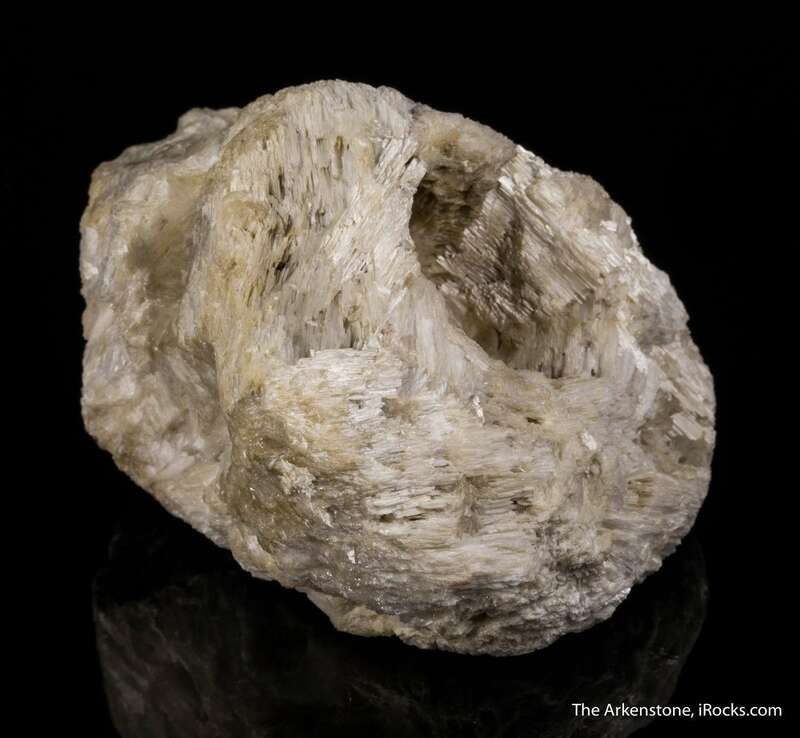 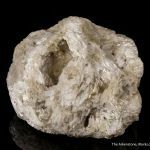 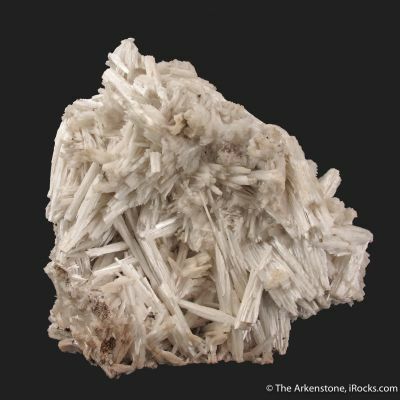 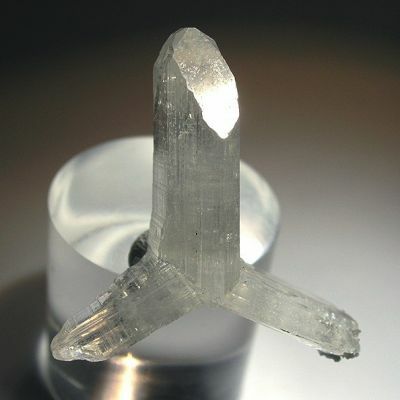 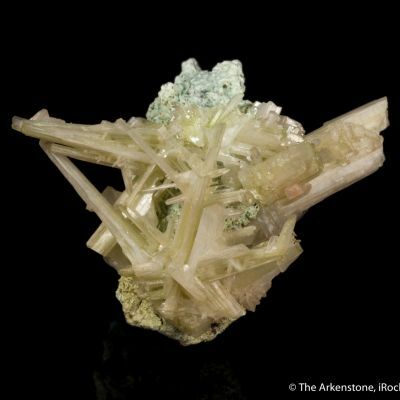 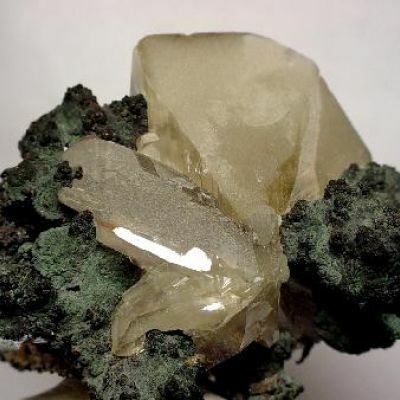 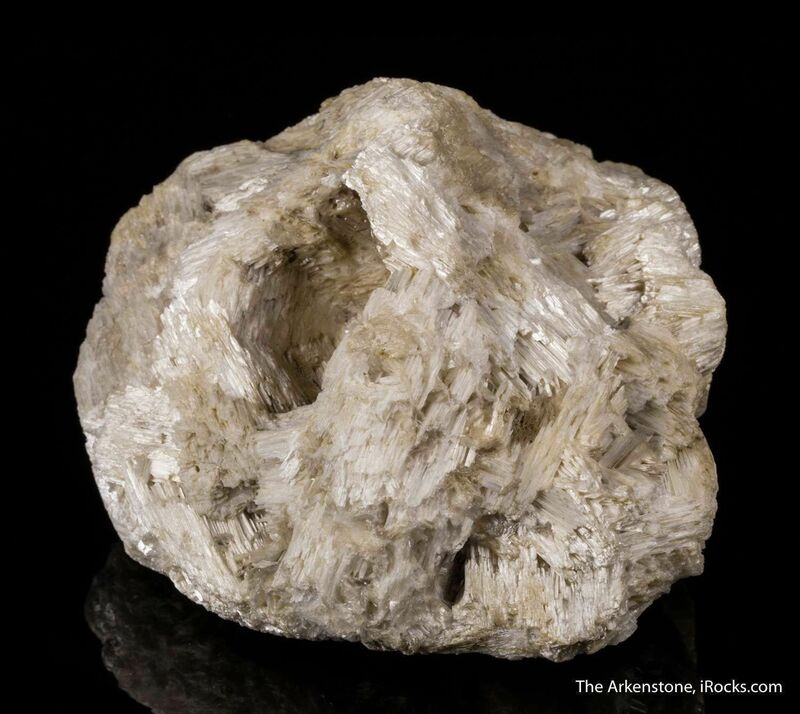 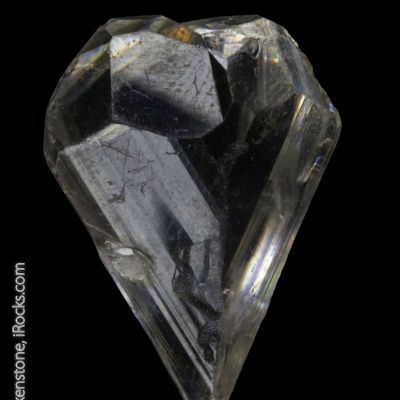 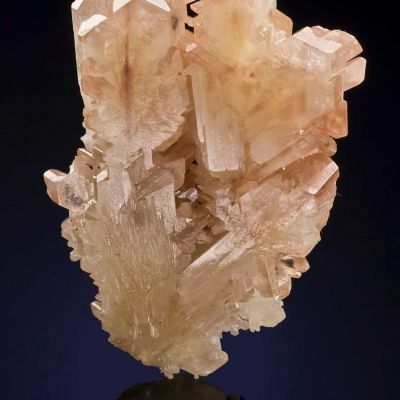 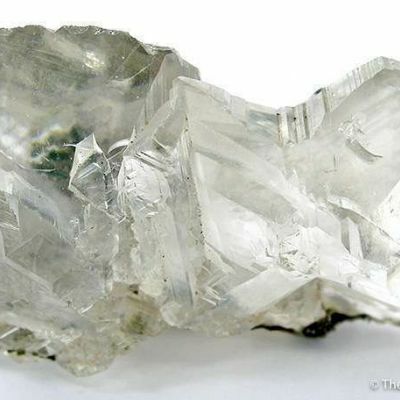 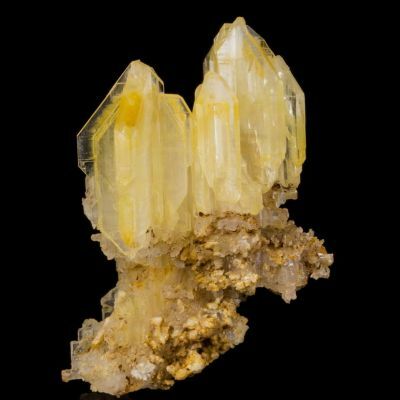 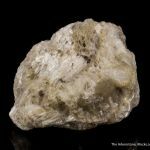 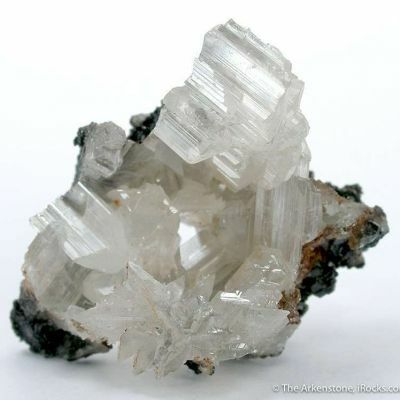 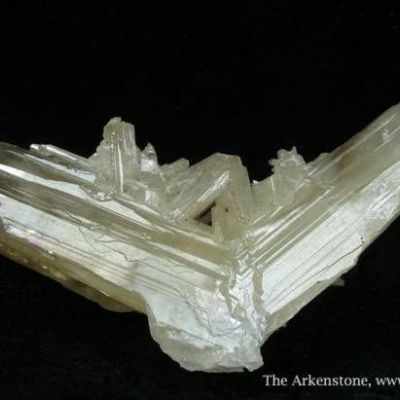 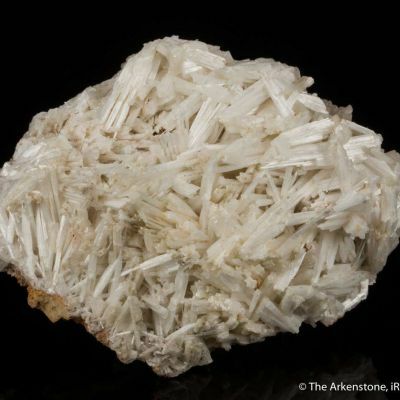 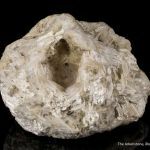 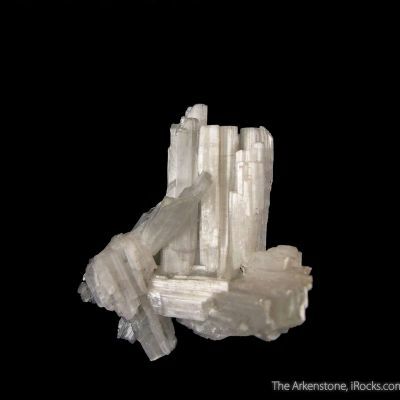 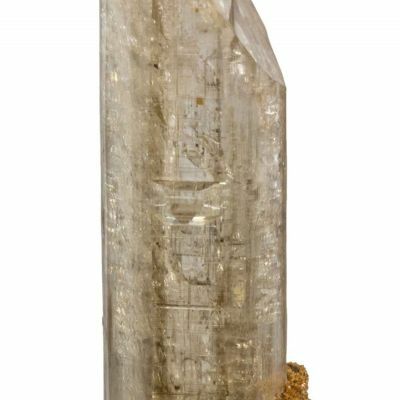 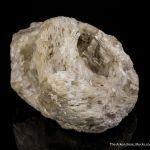 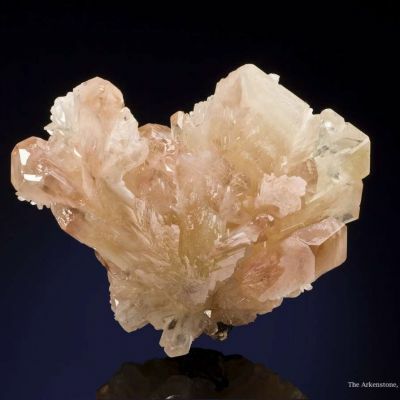 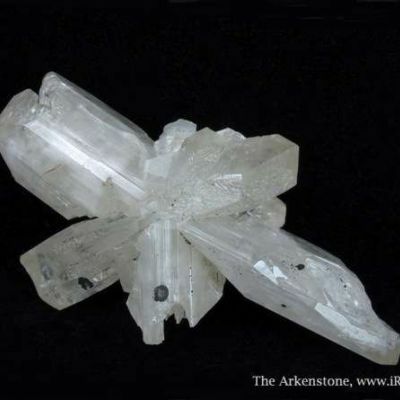 The growth pattern of the cerussite is somewhat reminiscent of those from the Flux mine in Arizona, except it is much more densely packed and swirled instead of in straight patterns. 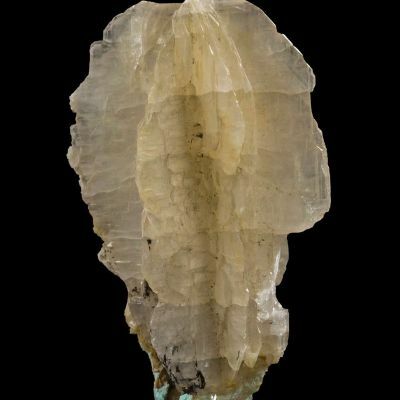 A heavy specimen of lead mineralization, this is a unique Mexican mineral. 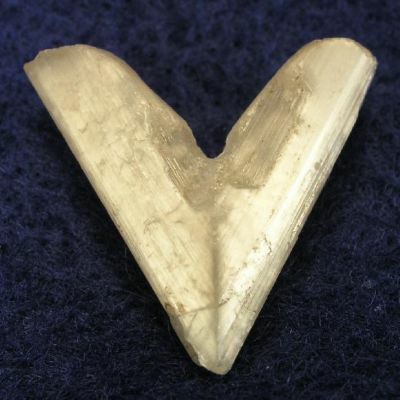 An old piece, from JG Dixon collection.